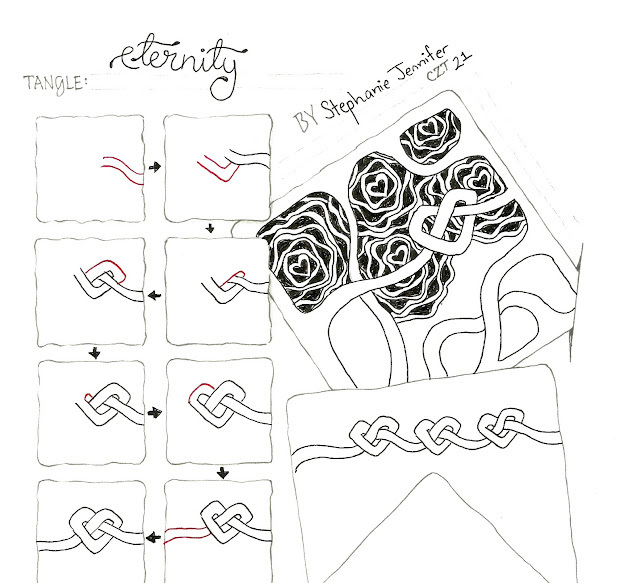 Eternity can be used as a string, and as a border tangle. If you closed both of its tail-ends, you could also make it a stand-alone tangle. Hopefully you'll enjoy drawing it just as much as I do. The other tangle featured is my version of Diva Dance Rock and Roll. It is a simplified version, and you can find step-outs to it via this link.